I know I’ve mentioned before how much I love making snacks for the boys’ daycare classmates. It’s just something that’s really fun for me to do, and I know the kids love it – and my boys love it too, since they think it’s pretty cool that their mom made a special treat for their friends. I know that soon enough their smiles of pride at my homemade snacks will be replaced with plenty of eye-rolls, so I’m taking advantage of this while it lasts! 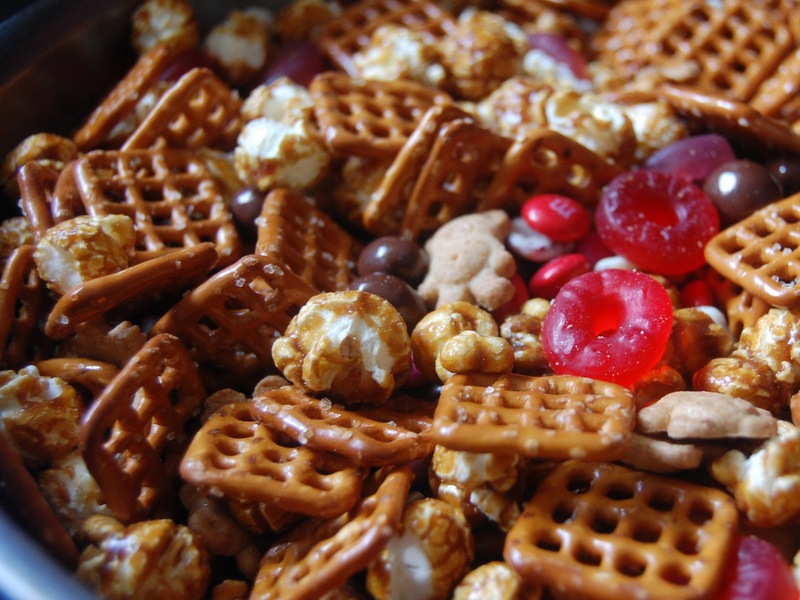 I’ve been holding onto this snack mix recipe for a year now, ever since last Valentine’s Day. I made this particular mixture for Andrew’s classmates as part of the valentines he delivered to his classmates last year, and it went over incredibly well. I love this mixture for its balance of textures and flavors – salty and sweet, chewy and crunchy. You can use whatever combination of ingredients you want, of course. My favorite part was the Teddy Grahams. How cute are they in a Valentine’s Day snack mix?! I have something even cuter planned for the boys’ classmates this year, which I’ll be sharing early next week! Combine desired amounts of all ingredients. Store covered. What a great idea! I'll copy you for my daughter and her friends at school.